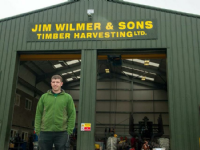 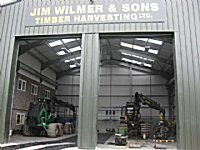 The Harvesting Department Offices are where Jim and David are based to direct the day to day running of the company. 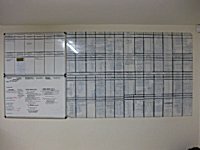 This is where all company aspects are monitored an evaluated. 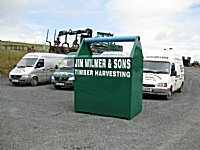 Harvesting site administration is also processed from this department. 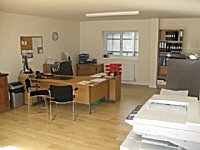 The accounts department deals with all of the company’s administration, finances and assists with Health & Safety. 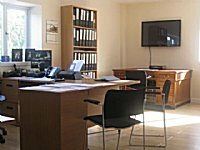 It also provides the management with update reports and statistics. 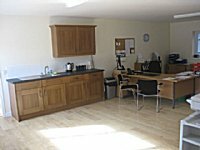 This said department is run by our office manager, Gill Ross & her assistant Amy Young. 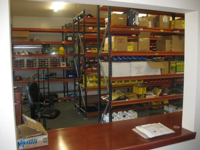 The parts department deals with all of the company’s purchasing, spare parts and machine consumables. 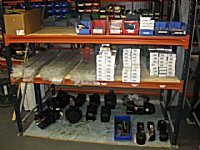 In this department we have very large stocks of spare parts as well as impress stocks from our machine manufacturers. 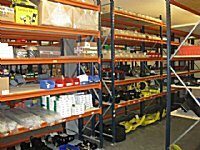 Our parts manager tries to source all parts as cheap as possible and manages all in-comings and out goings. 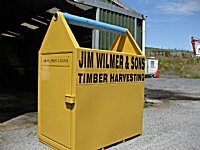 The department is run by Andy Winter and Rick McIlnea. 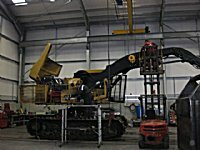 The service department deals with machine maintenance and provides a mechanical backup service to our fleet of machines. 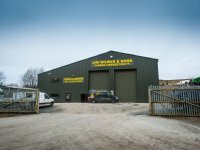 The service department is run by Ronnie Curran. 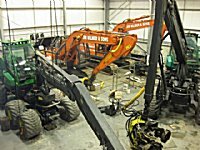 Machine Servicing & Repairs. 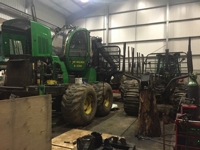 With our 9 field service engineers, most of our repairs get done on site. 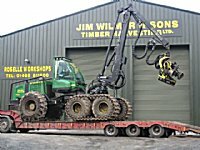 If a major breakdown occurs, we have the option of uplifting our machine with our company low-loader and transporting it back to our workshops. 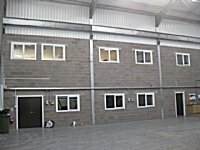 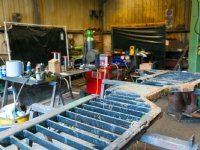 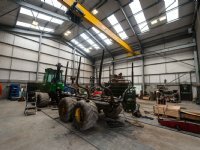 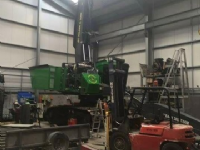 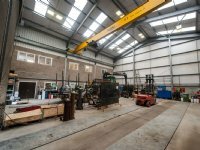 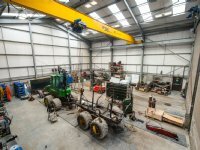 Here we have the benefit of our 8ton over-head crane and much better working conditions as it is would be done in our fully insulated, heated workshop. 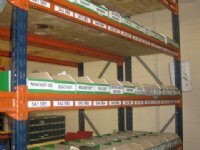 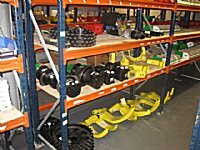 We also have a large selection of spare parts and materials in stock in our parts department if required. 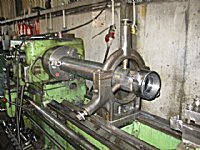 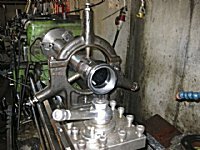 In our machine shop, we carry out machining services with means of our lathes and milling machines. 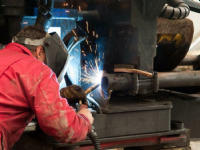 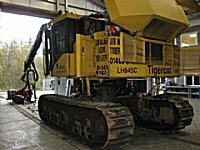 We re-manufacture hydraulic cylinders and fabricate pins and bosses to suit the needs our repairs. 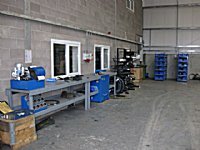 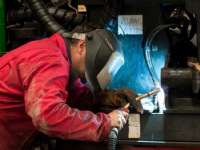 Here we repair machine components such as delimbing knives, feed rollers & roller arms. 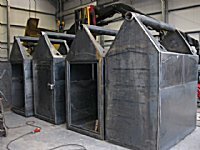 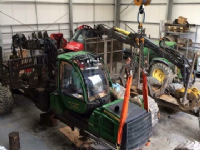 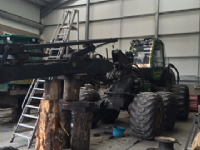 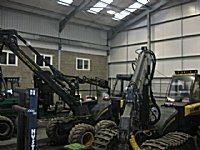 We repair our forwarder grabs and fabricate our own fuel grab tanks and site safes. 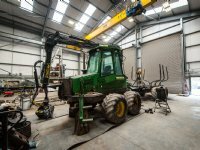 We also do our own steel work when converting diggers to harvesters. 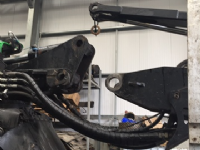 We also recondition our hydraulic cylinders, feed motors and saw motors. 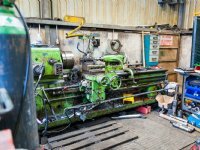 Once re-conditioned, every cylinder & motor is tested with our hydraulic press. 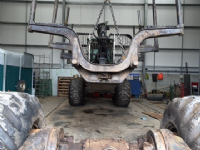 In this department we carry out servicing, repairs and maintenance to over 30 company road vehicles. 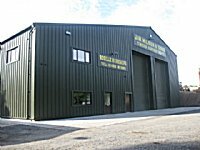 From diagnostic repairs to tyre changes and wheel alignment, all repairs are done in house.